Located on the island of Maui, the adults-only Hotel Wailea is Hawaii’s only Relais & Châteaux property. The all-suite resort features views of three Hawaiian islands and is nestled into tropical vegetation and waterfalls in one of the most exclusive resort communities on Maui. Among its residential-style cabanas, evolving culinary program and more, the resort has introduced new experiences to add to its already impressive array of offerings. Keep reading for a peek at a few of the unique additions. Experience the island life on the road. 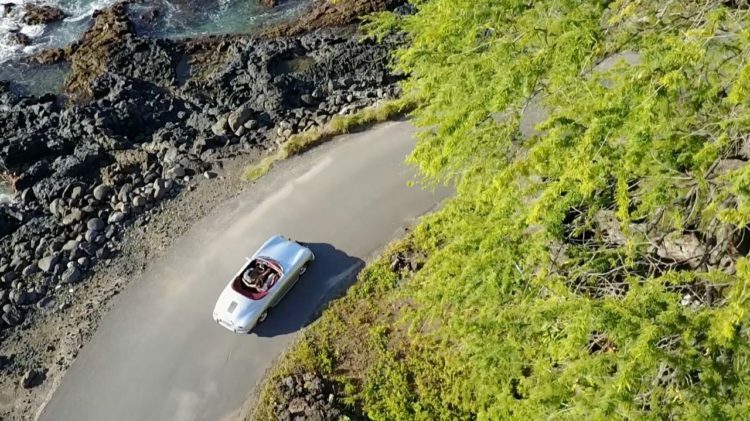 The hotel is now offering guests the chance to cruise Maui in a vintage ‘57 Porsche 356 Speedster reproduction. Choose from the arctic blue Mano, flame red Pele or the classic silver Hoku. One-of-a-kind dining goes to the next level with the newest treehouse dining setting. Perfect for an intimate dinner, private proposal or milestone occasion, this cozy outlet is amid a canopy of mangoes and avocados with views of the ocean. To complete the night, enjoy a curated seven-course dinner for two prepared by the chef, plus a sunset Champagne toast. The treehouse can accommodate 2-6 guests for a private seated dinner or up to 25 standing for a reception. Take to the skies with a private Aerial Silks class with Unnata Aerial Yoga-certified instructor Dre Fors. This unique class will teach the fundamental techniques like how to climb the silk hammocks, a variety of foot wraps and more. Before you know it, you’ll be twisting and turning in the air.